To register, click the buttons above. You can register online, print and send a PDF, or call 1-866-953-4769. THE BENEFITS FOR YOU: Give yourself the gift of time to look at your career, your business and your personal objectives more strategically, and return armed with cutting edge knowledge about how to compete more powerfully in your marketplace with the latest economic forecasts, portfolio management strategies, and the latest in tax-efficient investment, retirement and legacy planning. A high level personal, corporate, trust and cross-border overview will also prepare you and your clients for new opportunities to save despite higher taxes and new compliance obligations. Learn how to accommodate and adapt your practice to your clients’ changing lifestyles and priorities, providing “real time” wealth advisory services no matter where they are around the world. Understand the new competencies required to steward “impactful” wealth to next generations and the global community, because that’s what’s important to The Newly Affluent. 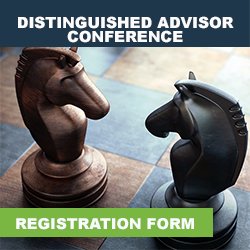 DAC is the pre-eminent financial conference for leaders. It is a must-attend event for you if you consider yourself amongst the best in your field. Step up your game and be inspired by attending with the best in the tax and financial services. Come back to this site often as we flesh out the agenda and announce our speakers and topics. Ask us about early registration discounts and our easy instalment plan. 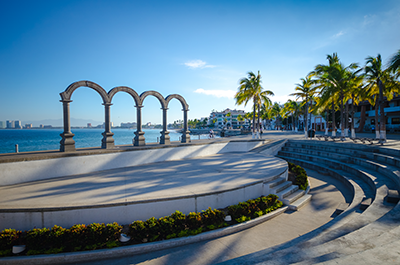 Bring your spouse, too - it's hot and beautiful in this Canadian Retirement Haven - Puerto Vallarta! Earn up to 15 CE/CPD credits. The New Economy: Understanding Share Ownership. Stock options and other corporate ownership models. Hot buffet breakfast for attendees and paid guests - Pintores Terrace. Debt & Savings: How You Can Unleash the Secret to Cash Flow Efficiency with Your Clients. 7:30 - 10:00 PM Olé - DAC Tropical Fiesta Party! MAKE A GREAT DECISION. JOIN THE WHO’S WHO. COME AND EXPERIENCE EDUCATION DIFFERENTLY AT A HIGHER STANDARD.